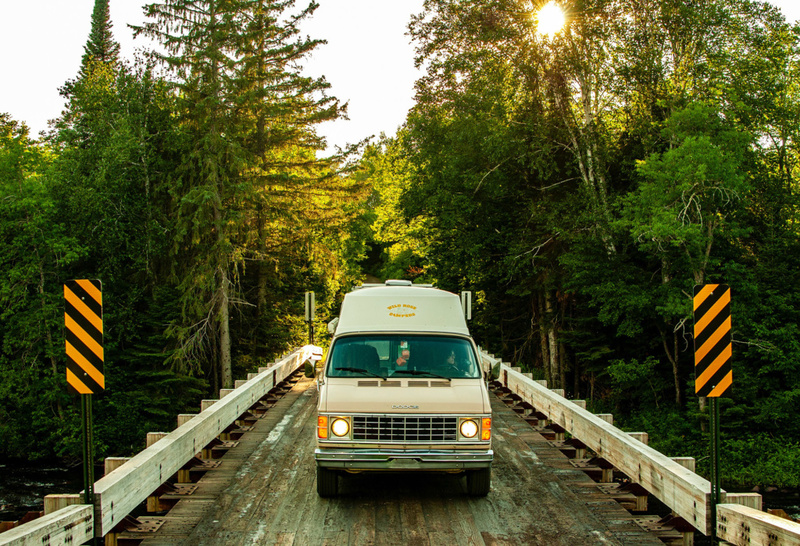 Making our second dip into America by way of the Superior National Forest. 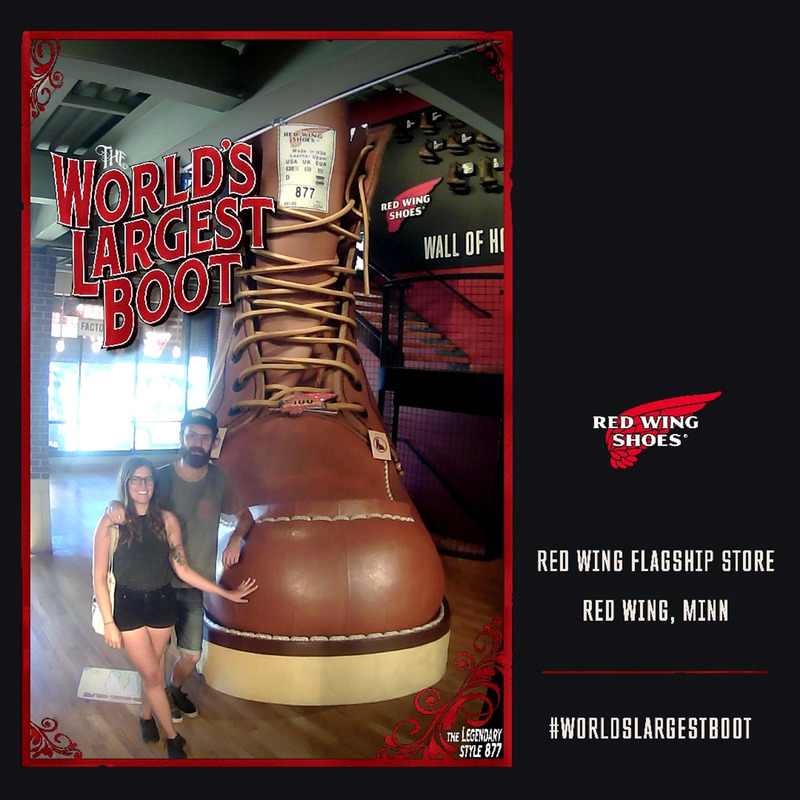 We soaked in the nature in Duluth, Bruno and Minneapolis before checking out the World’s Largest Boot in Red Wing, Minnesota. 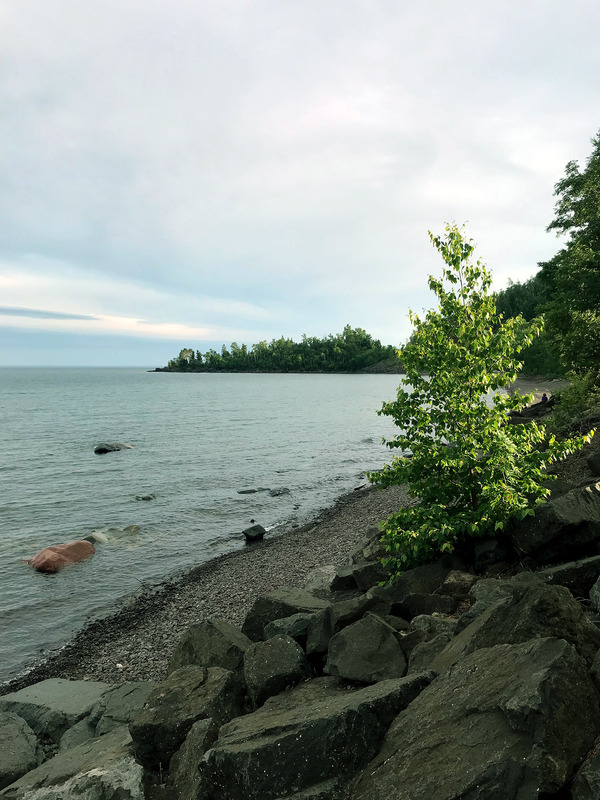 Whether it’s through Ontario or through Minnesota, the drive along Lake Superior is pretty spectacular. Granted it’s a huge lake, it’s pretty disorienting since its shoreline looks so much like the ocean. We drove the American side, which is full of cute little cottages and waterfront restaurants with views that will make your jaw drop. 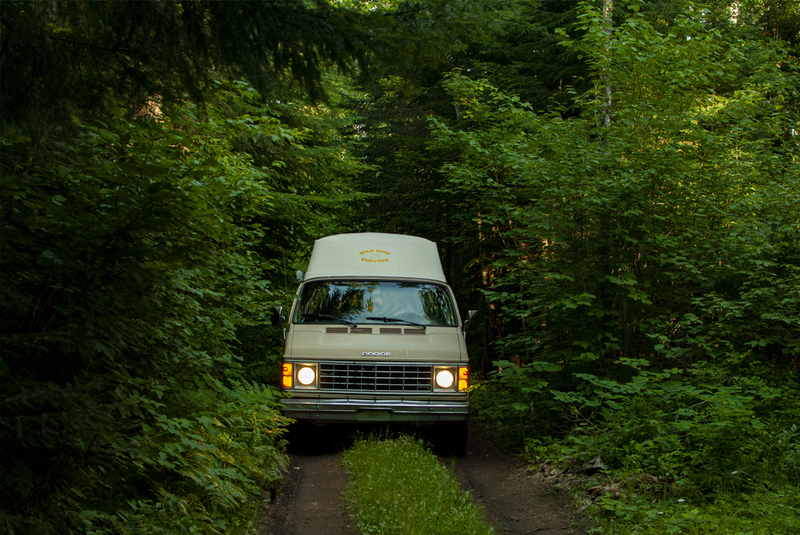 We found a spot to camp near Tufte, in the Superior National Forest, where we were surrounded by towering trees and of course, plenty of bugs. As much as I love summer, I detest that it’s synonymous with bug season – guess we can’t win ‘em all. We continued to hug the “coast” down through Duluth, which is a really cute scenic town filled with beautifully preserved old houses with storybook-like gardens. For some reason I always thought Duluth was a heavily industrial town but the lake views and mature trees definitely trumped any factories to be seen. We made our first American grocery stop after being away for a while and asked ourselves again how people aren’t drunk all the time – we bought a 24 of beer in Kenora, ON for $41 and got the exact same beer in a 30-pack for $12 here. Land of the free, man. We started making our way closer to the city and stayed a night in a town called Bruno. Despite being in a slightly more open area than the forest, the bugs were even crazier. So much so that I barely slept between being woken up by the sounds of buzzing swarming my head and going full-on Rambo trying to eradicate the problem. Whether I was successful is debatable but at least I managed to catch a few hours of sleep between swatting and bathing myself in peppermint oil. 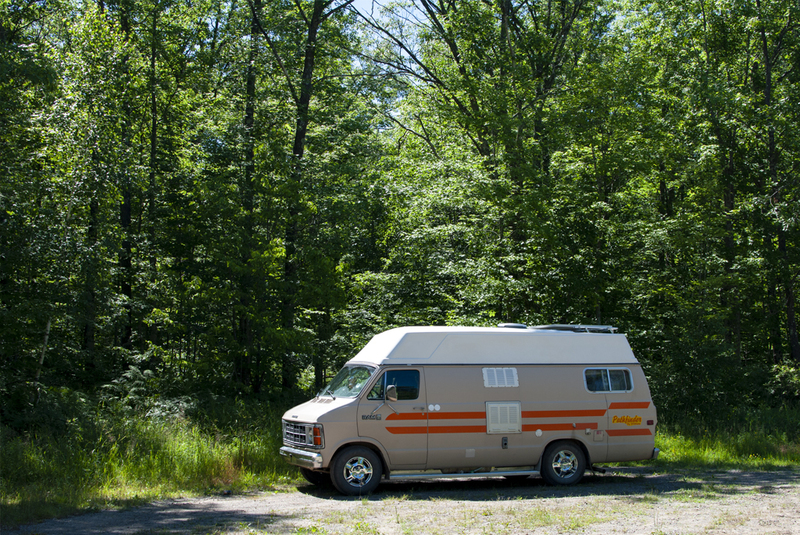 Before hitting the Minneapolis city limits, we spent a night in the Rum River State Forest where, to our luck, the bugs were so bad we had to stay in the van. We roasted while playing cards before a Forest Ranger pulled up and knocked on the window. That’s generally not a very good sign but this guy saw our Alberta license plate and just wanted to chat about his upcoming trip to Canada. To many people, Canada is like a mythical place so we’re always happy to chat with Americans who are genuinely interested in visiting and don’t just rule it out because you can’t carry guns. We left the woods and headed to the city where we stayed with Justin’s cousin and her family for a few days (yes, Justin has a lot of family scattered throughout North America). We spent a few days drinking, boating and floating among catching up on work and of course, showers. Minneapolis has got a ton of great breweries around town and we did our part to check out several of them. If you ever find yourself thirsty, be sure to check out Uteplis for beer, Sociable Cider Werks for cider and Tattersall for amazing cocktails. On the weekend, we were lucky enough to be in town when Target was putting on an epic fireworks show for the Aquatennial. Yea, I didn’t know what that meant either but in short, it’s a week of events celebrating the lakes of Minneapolis with a huge grand finale party. We’ve both seen some pretty great firework shows in our days, but this one blew all the others out of the water. Basically, it was 30 minutes of solid grand finale-level fireworks. 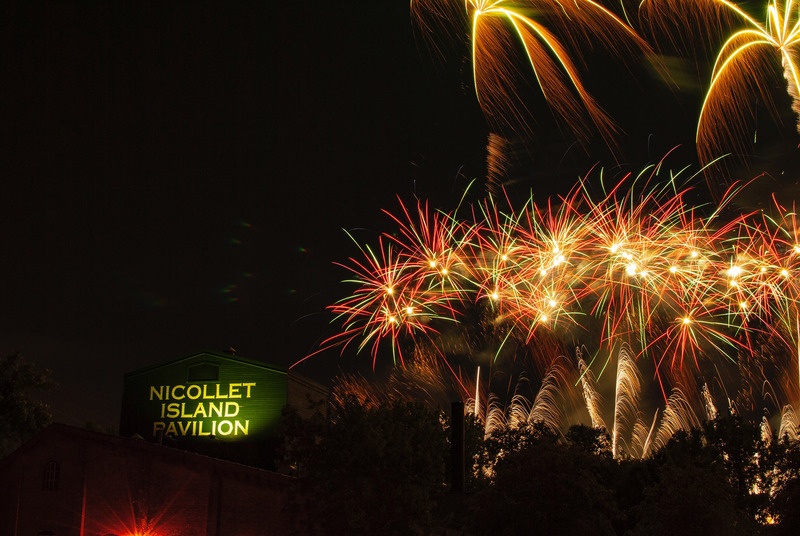 We watched from Nicollet Island and had an awesome view of the explosive colours lighting up the city. 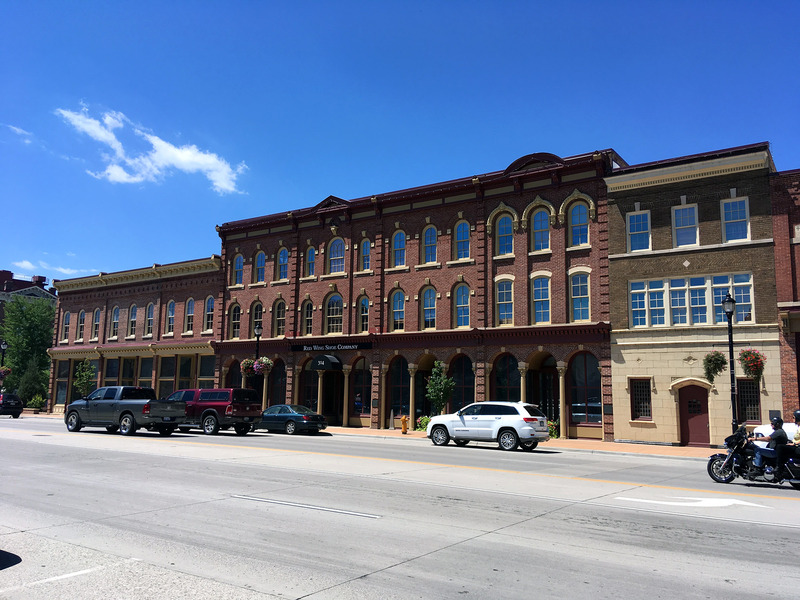 After another top-notch day floating on one of Minnesota’s many beautiful lakes, we left town on a high note and headed toward the town of Red Wing, where the company Red Wing Shoes is based out of. I’m a bit of a nerd for quality heritage apparel so the fact that the factory store also has a (free) museum was pretty awesome. They trace back the history of the boots and how they’ve evolved over the years and even have a massive leather boot that’s fit for a giant. It took ages to make and definitely used more leather than a couch – they call it a size 638 ½. It’s a super cool spot to check out, even if you’re not that interested in boots. Outside of the factory, the town of Red Wing is really pretty and is oozing with character. It’s right on the Mississippi River and has got lots of historical buildings and local vendors selling farm fresh corn and other veggies. We continued along the Mississippi to another State Forest where we camped a night and prepared for a lot of driving in the coming days. As I mentioned in the last post, the drive through the US from Thunder Bay, ON to Niagara Falls, ON crosses through 8 states. We were one down with seven to go so a good night’s sleep was essential.